Where the Online Booking Manager products will be installed ? A. the software will be installed on your own or hosted server. Which are the requirements for the Online Booking Manager products to properly run on your server ? must support dynamic loading at run-time of PHP extensions or must have ionCube support. Will this script work on an ISAPI PHP based webserver and work with a MS SQL Database ? A. It will work on an isapi php based webserver but it will not work with a MS SQL server database, it requires a MySQL server database. How can I test my server in order to be asssured that meet your software requirements ? A. For testing your server please go to http://www.onlinebookingmanager.com/requirements.php and see the "How to Test Your Server" section. If you are a non-technical person, and would like us to test it on your behalf, we need you to supply us with temporary FTP access details for accessing your server. Which are the OS-es for the servers where the Online Booking Manager products will run without problems ? How much do you require for installing the Online Booking Manager products on our server ? A. The installation of the Online Booking Manager products on your server is free of charge. 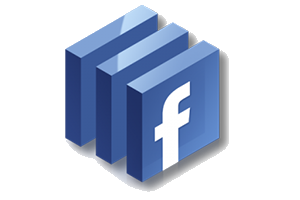 We need you to supply us with temporary FTP and MySQL database access details. How long is it take to install the online reservation system on my server ? A. Usually the installation process takes few hours (it depends on the internet connection). Is it difficult if I want to install the software by myself ? you have to create the blank database and run a sql script (provided by us) in order to create and populate the tables. The license, means that I can use an Online Booking Manager product for every site I need (i.e. multiple domains) ? A. No, the license is per domain. Do you charge any other commissions like a per reservation commission ? A. No, the only charge is the license cost. We are not asking for other fees (like monthly, yearly fees) or commissions from the reservations made through the Online Booking Manager products. The license is a lifetime license which means that it will never expire. I'd like to know which are the differences between the hotel, hostel and apartments versions ? on the hotel version the guests book rooms for a certain period of time. on the hostel version the guests book beds in dormitories for a certain period of time. on the apartments/flats version the guests book the whole property for a certain period of time. What payment options by credit card are supported by Online Booking Manager products? 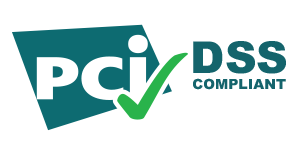 1) PCI-DSS compliant payment option via payment gateways, meaning that the secure payment process is assured by the PCI-DSS compliant payment gateways. 2) Despite the fact that it is NOT a PCI compliant payment option of processing credit cards, you can still choose to have guests enter their credit card information for manual processing or to guarantee the reservation. In this case, part of the sensitive data is sent by e-mail to you and the rest of the details can be accessed through the admin panel. This means that the full details won't be stored on your server and this is by far the most secure way to collect card details for manual / offline processing. While collecting card information for manual processing may be a matter of cost-savings and convenience for you, doing so may be a violation of PCI compliance or even violation of the Terms Of Service of your merchant account agreement, and may not even be legal in your country. It is YOUR responsibility to ensure suitability before using this option for collecting payment information. Also, in case of collecting card information for manual processing , it is mandatory to use an SSL certificate in order to secure the channel from the guest browser to the server where the Online Booking Manager product is hosted. Concluding, it is highly recommended to use PCI-DSS compliant solutions for handling online payments. Is the software encrypted ? A. Yes, the software is encrypted by PHPEncoder from ionCube but the guest side (front-end) is left open upon your request for website integration purpose.